Pictures taken around the UK in July 2008, with visits to East Midlands, Luton, Stansted, Gatwick, Heathrow, Southend and North Weald over three days, before RIAT Fairford and SBAC Farnborough over the following two days (see the seperate galleries for these). Then after Farnborough, Coventry was visited for a special event with Air Atlantique, before another look at East Midlands on the way home. 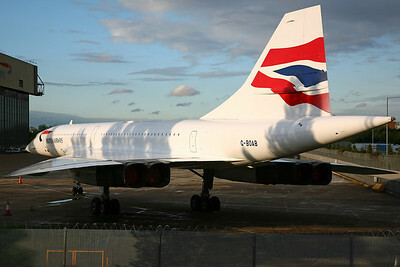 G-BOAB Concorde 102 British Airways. Parked at LHR since being retired after its final flight on 15/8/00.